We just learned about the person from the Bible named Sarah. Another person from the Bible is Isaac. Isaac was the only son of Abraham and Sarah. When Isaac was young, God told Abraham to take him up to a mountain and offer him as a sacrifice. This was very scary for Abraham because he loved Isaac, but he feared God so much that he did what God told him to do. He took Isaac up to the mountain, but when God saw how much Abraham feared him and would follow his orders, he had Abraham sacrifice a sheep instead. Because he was so faithful to God, he promised that he would bless all of Abraham and Isaac's children and grandchildren. 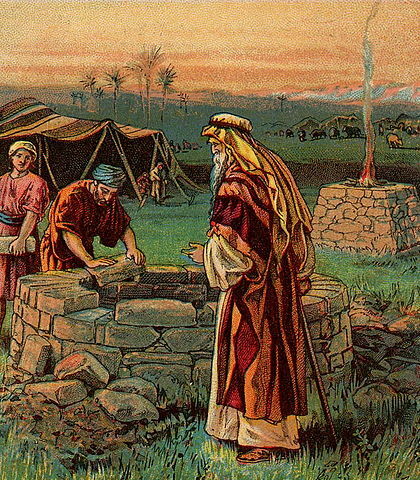 The Bible tells of Isaac's life in Genesis chapters 21 - 35. ASL - Do you speak ASL? ASL - Very good thanks, and you? ASL - How are you?